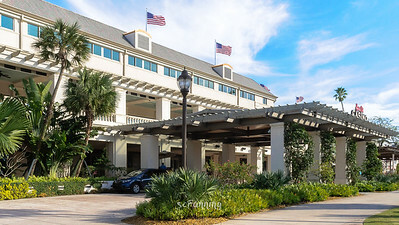 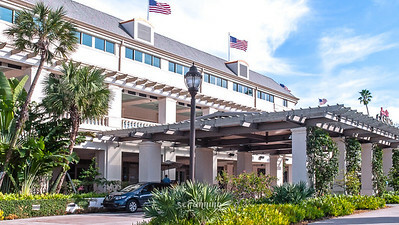 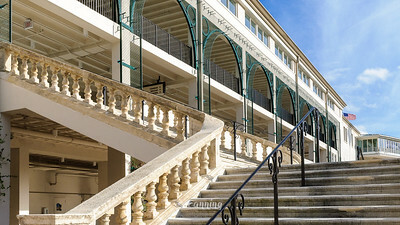 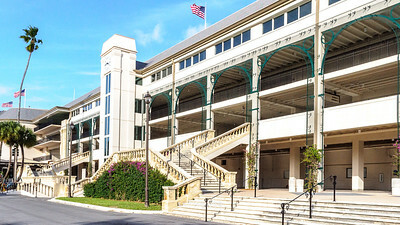 Exterior views of the main Grandstand and surrounding gardens. 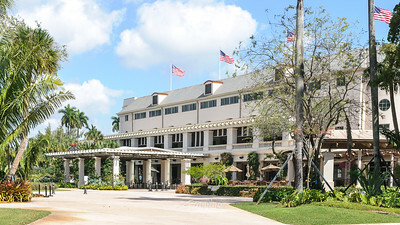 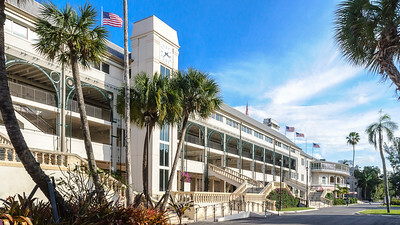 Hialeah Park Racetrack was listed on the National Register of Historic Places on March 2, 1979. 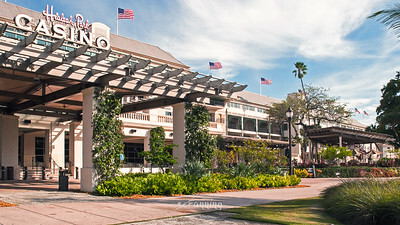 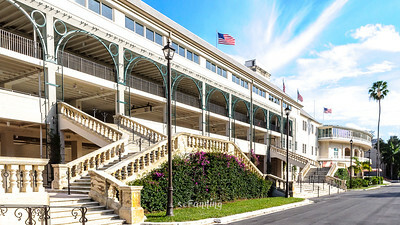 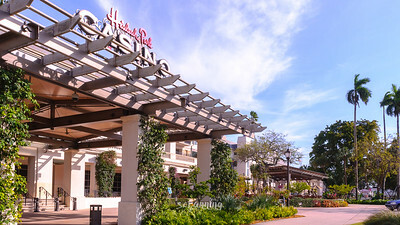 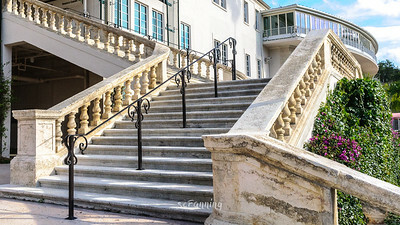 Exterior views of the main Grandstand and surrounding gardens of the Hialeah Park Racetrack & Casino in Hialeah Fl. 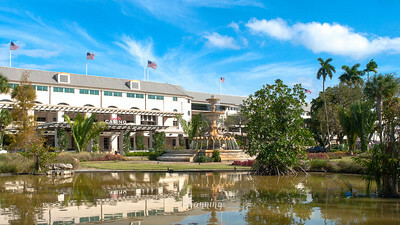 Hialeah Park Racetrack is a historic racetrack in Hialeah Fl, that officially opened on January 14, 1932. 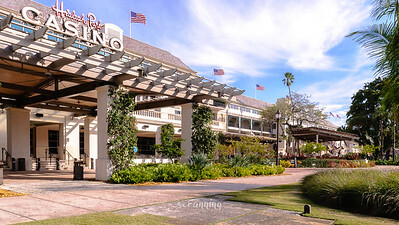 The racetrack became so famous for its flamingo flocks that it has been officially designated a sanctuary for the American Flamingo by the Audubon Society. 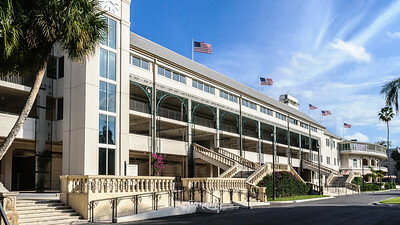 Hialeah Park Racetrack was listed on the National Register of Historic Places on March 2, 1979. 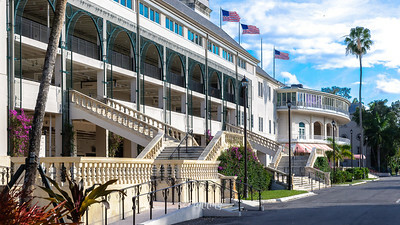 On January 12, 1988, the property was determined eligible for designation as a National Historic Landmark by the Secretary of the Interior. 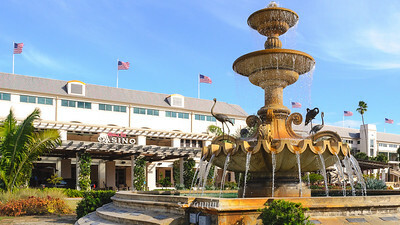 Comments about Hialeah Racing & Casino?